What is so great about Pokemon Go?! What is so great about Pokemon Go?! 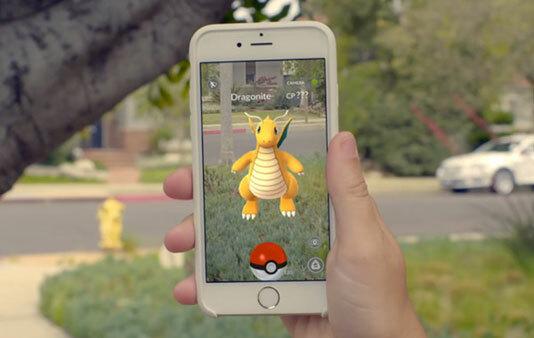 The latest smart phone app to bring Augmented Reality (AR) to video gaming, Pokemon Go has exploded in popularity. Even if you were a die-hard critic of video games, or were tech-averse, you would have heard of the latest craze in the game world – Pokemon Go! Pokemon actually was created in 1995, as a video game for Nintendo Game Boy handheld. It was called Pokemon Red. In the game, players inhabited a fictional land, trying to get ‘pocket monsters’ and use them to win over other monsters in battles. Since then, Pokemon had given rise to a series of video games, trading cards, animated television series and other media. It had become the second most popular video –game based franchise, second only to Nintendo’s Mario series. All this was before the 6th of July, 2016, when the Pokemon Go mobile app was introduced to the world. Pokemon Go is a mobile app that is freely downloadable. To play, after creating a game account, the player chooses an avatar. This avatar moves just as the player moves in real geographical surroundings. As the avatar moves, it can find different types of Pokemon. The ultimate goal of the game is to catch all original 151 Pokemon, so as to complete the entries in the comprehensive Pokemon encyclopedia, called the Pokedex. So, that is the game in a nutshell. But it is much more than this, with multiple within-app features and attractions that have lured adults and kids alike. Below given are a few of the mind-boggling facts on Pokemon-Go. 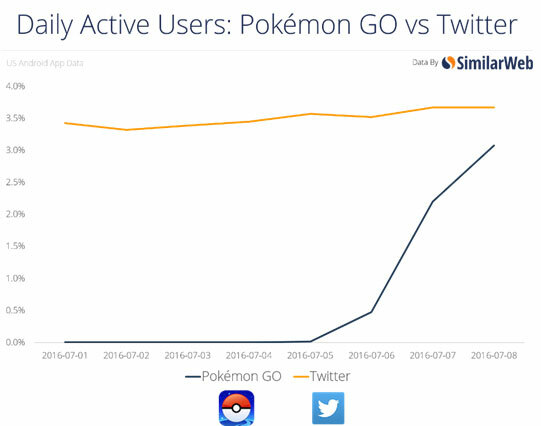 Within a short while, Pokemon Go has surpassed some very popular social media apps such as Tinder, the dating app. 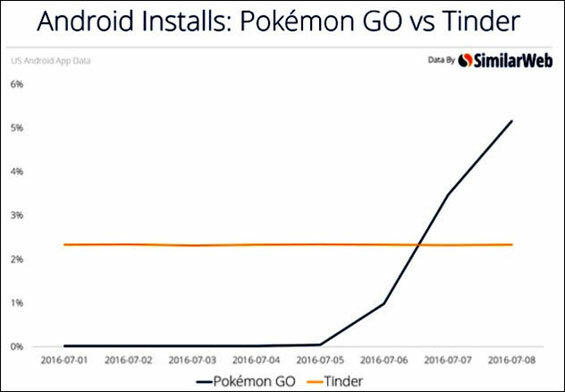 In the first week of release itself, Pokemon Go was installed in twice the number of Android phones than was Tinder: Pokemon G in over 5% of phones whereas Tinder in a little over 2% of phones. And it is coming very close to overtaking even Twitter, the social media giant that is itself hugely popular. 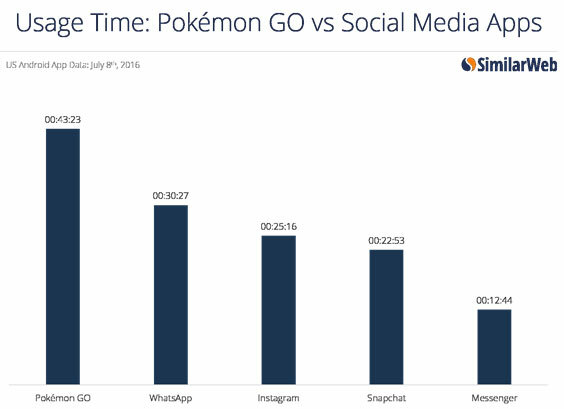 Let us take a look at how much more time users are spending on Pokemon Go, compared to other apps such as Instagram, snapchat and WhatsApp. This runaway success has led to the game facing some beginning hiccups, and the international rollout has been delayed for a while. If the current popularity is any indication, Pokemon Go is going to break all records in popularity, in the history of screen-based gaming. Pokemon Go lets you exercise! A video game that lets you exercise?! Yes, that is exactly what Pokemon Go does. Though you can play Pokemon Go around your house where Pokemons might lurk in the corners, it is better to go outside the house to make the best use of the game. As the gamers roam around their surroundings, the game turns on the real world view provided by the front camera of the phone, and your target Pokemon appears on real geographical terrain. Then all that the players have to do is throw ‘Pokeballs’ at the targets and capture them. Does it sound like walking around a lot? Yes, it does and it is. 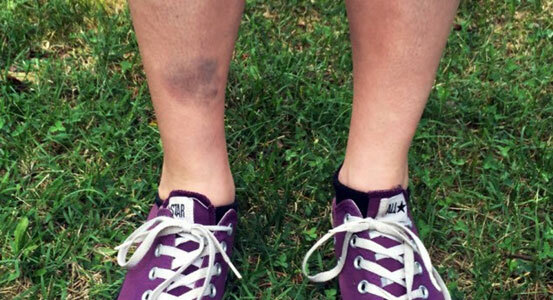 Pokemon Go players are now walking around a lot, some complaining jokingly about their sore legs. But it must be a relief for parents to see their lazy gamers getting off the couch for once! Augmented Reality (AR) is connecting virtual elements with the real physical world. This has been a concept largely confined to computer scientists so far, but with the release of Pokemon Go, suddenly, AR has come to real, daily life. It is no small matter that you can play the game and find your targets in your own real world surroundings using your phone camera. This one fact is the most fascinating aspect of the game for the generation Z rearing to live life like science fiction! It is a common sight to find many Pokemon Go gamers chasing the same target in the same area. It is only a matter of time for them to meet up. 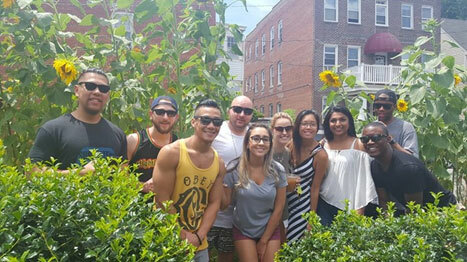 One of the Pokemon Go players reported how he found a whole group of new friends just because they were looking for the same target in the game, in this case a ‘Scyther’ that was close by in a patch of sunflowers, as he was. Once they all had the same target in view, they began cheering each person as he/she landed it. After everyone was done, they even took a picture together to memorialize the way Pokemon Go had brought them all together! What if you want to catch your target Pokemon but don’t want to get up from your couch? Now there are businesses springing up that will find you your Pokemon, or drive you to your Pokemon. There are craigslist ads now advertising services such as taking Pokemon Go players directly to the area where their targets can be found. Two features of the game actually encourage these businesses: ‘Pokestops’ which are usually public places where players can get virtual items, and ‘Gym Trainers’ which are real life locations where the captured Pokemon can be powered up. If a player can get to these spots fast, it gives them an obvious advantage. Reportedly, some players are shelling out as much as $30 an hour to drivers who know all the Pokestops and the Gymtrainers in the area and will take them to those places quickly. These drivers even offer snacks, drinks and free Wi-Fi to these players, other than their own expert knowledge. This is the very first business to have sprung up from Pokemon Go, but indications are that many more are to come up in the near future. 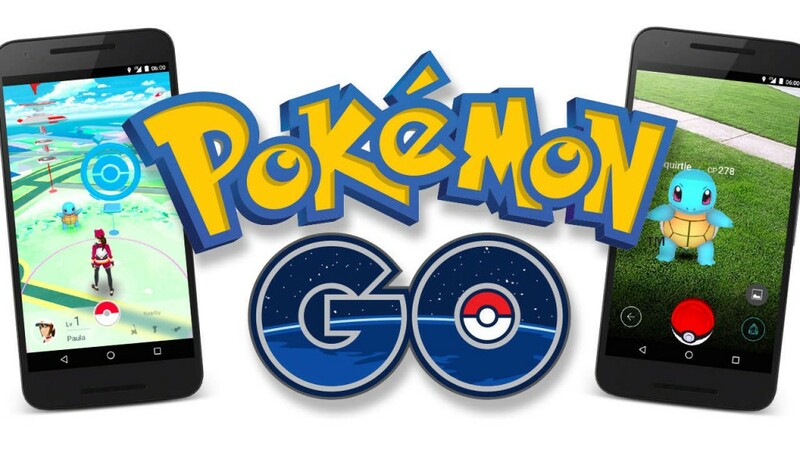 Will the Pokemon Go craze last? If you look at history, smart phone games have come and gone quickly. They burn bright for a while, then flame out. Bejeweled, Words With Friends, and Dots had the same fate. However, if you go by early indications, Pokemon Go might last out this year at least. The whole of 2016 seems to be, at least for the millions of Pokemon fans around the world, a warm sunny summer for Pokemon Go!